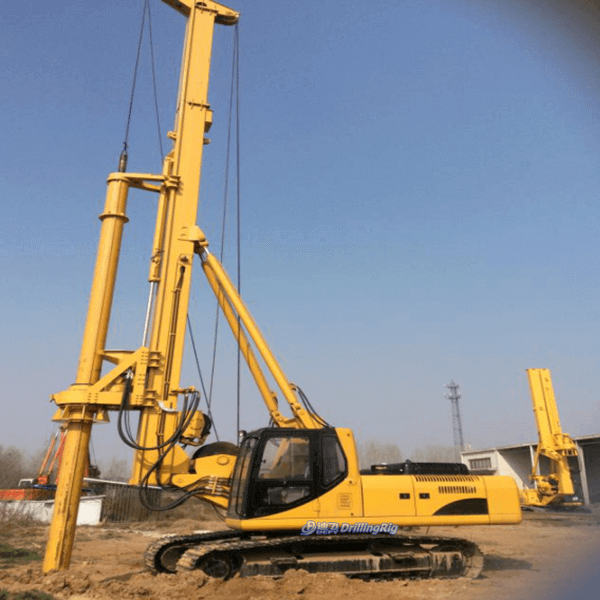 DFR-128A pile driver adopts telescopic mast which has simple structure, high durability,low cost and makes the repair more convenient. The power head adopts high position-oriented frame structure guarantees the verticality of kelly bar,which makes construction more convenient, and improves the working efficiency and safety. The power head adopts unique patented structure, which features low cost,not easily damaged and convenient for repair. Main winch: it adopts originally imported Italy hydraulic motor.It is more flexible and can be lowered freely,and the lifting speed is up to 70m/min, which greatly improves the work efficiency.The main winch is allocated at the front right of the operator,so the operator can observe its work condition and avoid twisted ropes.